I love how I can head to almost any thrift store in the Dayton area and find something good. It might take a bit of work to find a real gem, but you NEVER know what you might find. I typically shop there to find stuff for my boys, they grow out of clothes so quickly when they are little and I can usually find clothes that is gently worn or even the latest toy that they are into we can find it slightly played with. Our Things I Love Thursday this week is a guest post by one of our readers-Amy Moller. Amy and I both share a love of thrifting and she wanted to share one of her favorite locations with us. Goodwill: 950 Centerville Miamisburg Rd. Pros: Good selection of used computers and lots of clearance Target dollar section items. There is a decent selection of clothes, shoes, purses: I can find name brands (NY&CO., Express, Anne Klein, Polo, etc) in really good shape and not outdated, Nice men’s/women/s dressing rooms (very private), very clean and organized. It is just down the street from a huge Salvation Army, and they also have medical scrubs, pants that appear to be new for about $8, and other new items that are possibly overstocked or out of season. An interesting tidbit: 86 cents from every dollar goes to Goodwill Industries. Cons: the selection of boys clothes isn’t very big. If you’re looking for women’s clothes, this is a great store and even a fairly large selection for men. Also, they do not have much as far as electronics and furniture. CLOSED: This Giveaway is now closed, but you can still read about all that MacTown has to offer. Another thing that I like about MacTown is that they offer all customers a 1% discount for cash payments on in-store purchases of all kinds. I know 1% isn’t a ton, but when you are spending a lot of money on a new computer every little bit can really help. Both locations offer a wide variety of Apple products including games, bags, iPad, iPhone and iPod accessories galore, besides the basics like Macs, iPods, iPads and other hardware items. 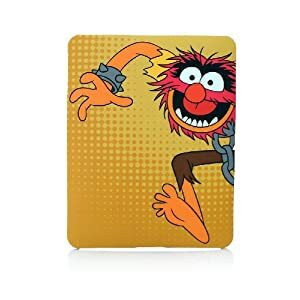 They offer kid sturdy covers, children games, and covers for your iPhone or iPad that your kids will love. To showcase some of the great products that they carry MacTown has partnered with us for a giveaway! 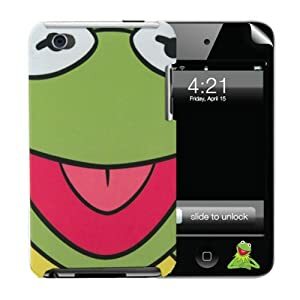 We are giving away two iPhone covers: Kermit and Animal. 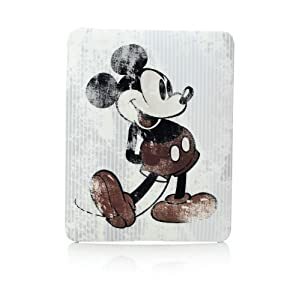 And two iPad covers: Mickey and Animal. You can enter to 4 times. 1. Post a comment about your favorite Apple product AND tell us which cover/covers you would like to win. Please be sure to tell us which items you would like if you win. 2. Become an MacTown Facebook fan. Feel free and comment on the Wall about your favorite Apple product. Then be sure to leave us a comment back here letting us know that you did. 3. Follow @TweetMacTown and tweet this message: “Twitterers & Mac Lovers! 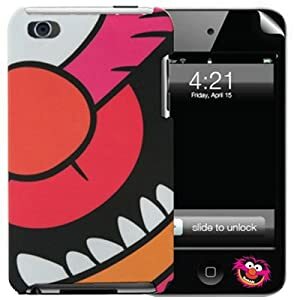 Win a Disney iPhone 4 or iPad case from @TweetMacTown & @DealsForDayton. Enter at http://bit.ly/fjQlWt.” Then be sure to leave us a comment back here letting us know that you did. 4. Become a Deals For Dayton Facebook fan. Then be sure to leave us a comment back here letting us know that you did. This contest ends Sunday, March 20, 2011 at midnight EST. We will use Random.org to pick our winner. I really like living in Ohio, I know the weather can get cold and it’s not a tropical location but there are lots of things to do and tons of great local businesses. One of the local places that our family loves to shop at is Trader Joe’s. I love how when you find someone else that shops there it’s like finding a kindred spirit. Then you both proceed to list what you buy there and why it’s good. I always find it funny that every thing that anyone else has on their “must buy at Trader Joe’s list” is the “best stuff.” Because let’s be honest, almost everything there is pretty great. But do you know what? Not only do I love Trader Joe’s, but my kids do too. There is rarely any complaining about going to the grocery store when I say that we have to go there that day. So here are my favorite things about Trader Joe’s, I’m not going to list all my food I like there because that is a pretty long list so I’ll just stick to basics. The things that in my mind make Trader Joe’s one of the Things That I Love this Thursday. 1. Stroopy the Cow- I don’t know who came up with this idea, but it’s GENIUS! There is a plush cow that floats around the store, maybe you have seen it and didn’t realize what he was doing hanging around the store. Well, did you know that Stroopy the Cow is a scavenger hunt for your kids? That’s right! Once you walk in the door tell the kiddos to keep their eyes peeled for Stroopy the Cow. So while you are on a shopping trip, your kids are on a hunt for Stroopy. When you checkout be sure to have your kids tell the person at the register where Stroopy was and they will score a prize- an organic sucker to be exact. There have been a few times that we’ve not found Stroopy the Cow, and we have still gotten a sucker just because they are nice there like that. 2. Sample Station- There is almost always some fun new sample to try. Whether it’s meatballs or the latest and greatest cheese there is usually some tasty morsel awaiting you towards the back of the store. They also offer free coffee if you are caffeine inclined. 3. Cookies- So back at the Sample Station sometimes there is a “weird” sample and my boys don’t want it. But guess what?! They have Cat Cookies for the kids. All they have to do is ask and whoever is back there will give them a sample cup full of cute cat shaped cookies. 4. Try It Now- Here is the “secret” about the Sample Station… Have you ever seen something at Trader Joe’s and thought, “hmm, I wonder if this is any good.” Well, all you have to do is take it over to the Sample Station and they will open it for you and let you try it right there! Then if you do like it they won’t make you take the opened one, they tell you to get a new one and they will use the open one for samples. It’s that AWESOME!?! 6. Friendly Staff- All of their staff is helpful, friendly and polite- every time we have been there. The kid-friendly staff is wonderful, it’s nice that when we walk around and my littlest boy says “hi” to every passing employee that they stop and pay attention to him. He loves it and it’s heartwarming to see how authentically nice they all are. 7. Return policy- There have been those few times that I bought something that we don’t enjoy- like that time that I bought Roasted Red Pepper and Tomato Soup… NO SALT… ugh. All you have to do is bring back the item, even if it’s opened, and they will refund your money. It’s nice to know that I can take a “risk” at Trader Joe’s and not be stuck with some weird No Salt soup that I accidentally bought. 8. No Artificial Things- I’ve been trying to be more careful with what I feed my family lately and was pretty excited when I learned that everything with the Trader Joe’s label has NO artificial flavors, colors or GMO’s (genetically modified organisms). Have you ever been to Trader Joe’s? What are some of your favorite things about them? Or more importantly what are some of your favorite things to buy there? What should I try next time I’m there- because I’m always up for trying new stuff from Trader Joes. And look at that cutie with his stickers and sucker! This post is linked at Things I Love Thursday on TheDiaperDiaries.net. So maybe it’s too cold outside, but on some days you just NEED TO GET OUT OF THE HOUSE! Anybody else with me?! Cabin fever often runs rampant in my house. So to help you out and to save you some sanity we put together a list of a few locations that you can visit and let your kids run off some energy while staying indoors. So bundle up the kids and get out of the house! These locations are great places to escape the outdoors! The price and times of each activity will vary so be sure to check out their site for more information. Also be sure to check their sites for possible coupons or discount days. I know this list is not all inclusive, so if you know of some places that I haven’t included please be sure to let me know. Is this summer heat getting to you?! It is getting to me and my kids! To cool off, we’ve been heading to local parks that have “splash pads.” One of our favorites is Orchardly Park in Oakwood, located in the block between Wonderly Avenue and Orchard Drive on Delaine Avenue. The park has fun spray sculptures to cool off, as well as a large sand pit, a toddler play area, and lots of play equipment for bigger kids. There is a basketball court, and tennis courts, too. There is so much to do, it is easy to spend a good part of your day here, and best of all, it is FREE! Do you have a favorite park that you’d like to share with others? Leave us a comment and let us know. We might even write about it! We love going to the park and always enjoy exploring new and different parks in our area. We realized that some of you might be looking for a fun new park to visit too, so we broken down the Dayton Five Rivers Metro Parks and highlighted some of the key features that we noticed. Five Rivers Metro Parks have a total of 19 parks in the Dayton area. At each of these parks, there are numerous activities and events that you and your family can enjoy. I have done brief summaries of each park including activities that may be of interest. To get more information, be sure to check out their site. Eastwood Park includes a large lake for fishing and boating. There are also creeks running through the park, and a combination of wooded areas and clear spaces for sports. There is also a playground with picnic shelters nearby. A great park for a variety of activities! Englewood Park is a huge park that offers almost everything. Camping, canoeing, kayaking, bridle trails, disc golf coarse, hiking, and a lot more! There is not a playground, but there are plenty of other activities to keep your family busy! Germantown Park is a large park that offers quite a few activities. It offers camping, fishing, canoeing, picnic areas, hiking and lots to do! There isn’t a playground, but there are a ton of other activities to keep your little ones busy! Hills and Dales is a park that offers a variety of activities. There is a newly remodeled playground and picnic shelter area, as well as hiking trails, and natural forest. It is a scenic place to spend time with the family! Located just north of downtown, Island Park offers a relaxing “urban oasis.” There is hiking, canoeing, a bike trail, and then a playground and water play area that is sure to entertain the kids! Possum Creek is a sustainable farm that allows for lots of great learning experiences for the family. There are opportunities for hiking, fishing, playing on the farm, and camping. There is also a playground for little ones to burn even more energy! Riverscape is a great urban park that Dayton offers. They offer a rental service for paddleboats, skates, bikes, and ice skates in the winter. There are numerous colorful gardens that decorate the paths along the river. There is also a water play area for those hot days when you need to cool off. Wesleyan Park is a park where your family can enjoy a bike ride, go fishing, have a picnic, or play on a playground. It offers something for everyone! We Daytonians are a lucky bunch to have access to such beautiful spots for our families to enjoy! You can follow Dayton Metro Parks on twitter @metroparkstweet or “like” them on facebook to learn more about what is offered! (There are also lots of activities they can remind you of!) Have any of you been to any of these parks? Leave us a comment and tell us about it! !